﻿ Shangri La Country Hotel Modimolle. JIMAT di Agoda.com! Ada soalan mengenai Shangri La Country Hotel? Sama ada anda melancong atau ke luar kawasan kerana kerja, Shangri La Country Hotel merupakan pilihan penginapan hebat ketika melawat Modimolle. Keseronokan pusat bandar hanya sejauh 25.0 km sahaja. Dengan lokasi yang mudah, penginapan ini memberikan akses mudah ke tempat yang anda perlu lawati di bandar. Kemudahan dan perkhidmatan yang disediakan oleh Shangri La Country Hotel memastikan penginapan yang menyenangkan bagi para tetamu. Hotel ini menyediakan akses kepada pelbagai perkhidmatan yang luas, termasuklah fasiliti tetamu kurang upaya, Wi-Fi di tempat awam, tempat letak kereta, khidmat bilik, penjagaan kanak-kanak. Tetamu boleh memilih dari 49 bilik, semuanya yang akan memberikan suasana ketenangan dan keharmonian. Sepanjang hari anda boleh menikmati suasana yang santai dengan kolam renang terbuka, gelanggang tenis, taman. Kemudahan yang hebat dan lokasi yang sangat baik membuatkan Shangri La Country Hotel menjadi asas yang sempurna untuk menikmati penginapan anda di Modimolle. The breakfast was outstanding, the massage at the spa was one of the best I have ever gotten. What a beautiful place! Initially the first perception is great. When you arrive at the reception the staff was helpful and it is very clean and beautiful giving a good Africa feel to the place. It is when you get to the room that everything turns South. Based only on the room we stayed in: Firstly the carpets are very dirty and old. The place had a stench hanging in the air which we think was coming from the drains in the bathroom. The basin was loose. Overall the room's impression was that it was lacking some basic maintenance and hygiene. Breakfast was great tough. We travel allot and I am very disappointed in what we got for what we paid. Really not what we were hoping and paying for. Pictures are deceiving. Room that we stayed in smelled like mold, carpets are so dirty you cannot walk barefoot over it. Two single beds pushed together with only a sheet over does not equal a comfy bed, please do invest in some decent mattress toppers! Honestly one of the worst places I have stayed in and would not recommend this to anyone. GPS directions from mokopane are not correct, we ended up in some gravel road and car got stuck for over 1hr30min because of sand. Soo traumatising for someone travelling with kids. That needs to be reviewed, for peoples safery please. The room we were in is not large, but for a one night which we stayed (Or even a weekend) it was more than sufficient. Bed was comfortable and clean. The room had a bath/shower, toilet and basin. Coffee making facilities. Aircon & TV. Breakfast the next morning was a buffet, and would rate it 10/10. Overall a great spot. Stunning gardens and scenery. Bathrooms were a bit dated but clean. Unfortunately the carpets are very dusty and could do with a deep suction clean. A problem when you have children that are allergic to dust. All round, wonderful stay! The surroundings and set up were delightful and obviously a huge amount of imagination had gone in to creating the ambience of the place - wonderful lot of old and interesting objects, paintings, furniture etc around and they were even kind enough to let my husband have a book from the "library". We had an evening meal that was very tasty sitting outside on a beautiful warm evening. Even though there was a wedding on and families it was amazingly quiet. Just a note regarding our bathroom though - could do with extra maintenance but probably a re fitting with a shower would probably be a better option as it looked more than a little tired around the edges - that said - we know it all costs money and not every thing can be done - it is obvious they have not been sitting on their laurels and evidence of that is the lovely spa which I partook of at 7.30 am! A great place and thank you to the kind attention of the staff. 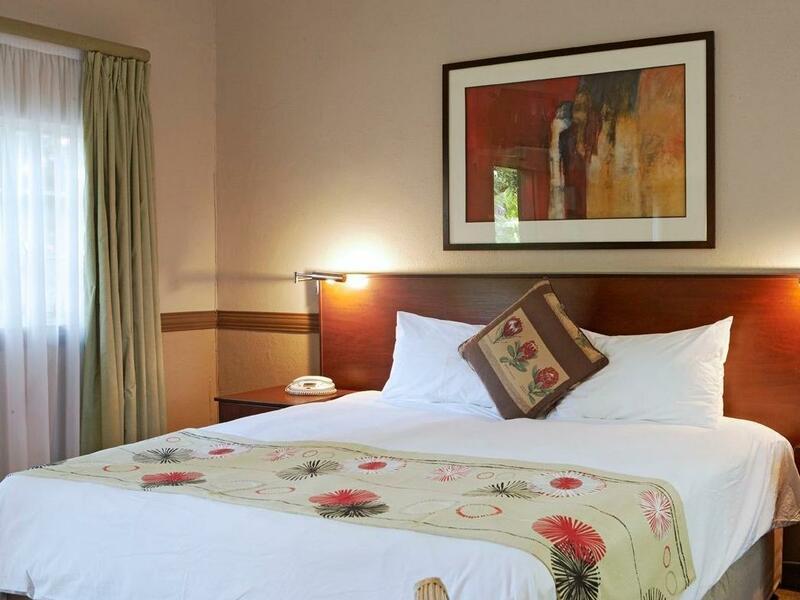 Hotel and Facilities: Very elegantly styled and well maintained grounds and buildings. Very nice decor with a lot of history behind them. Friendly staff and great anemeties. Room: Dissapointing. We booked one of the family rooms. On arrival several light bulbs were missing or not working, Aircon was not working and TV picture quality is basically not watchable. I reported the issues (response below). The rooms are great, but the experience is sullied by the problems not being fixed. For a 4 Star Hotel I also extected at least a fridge in the room. No Fridge + the No AC meant no way to keep cool as we could not keep cold water to drink. Hotel Reponse: They replaced the lights, TV unchanged and the Aircon they just replced the remote which did not solve the problem as the AC still did not work. This meant for a uncomfortable night in hot summer room. 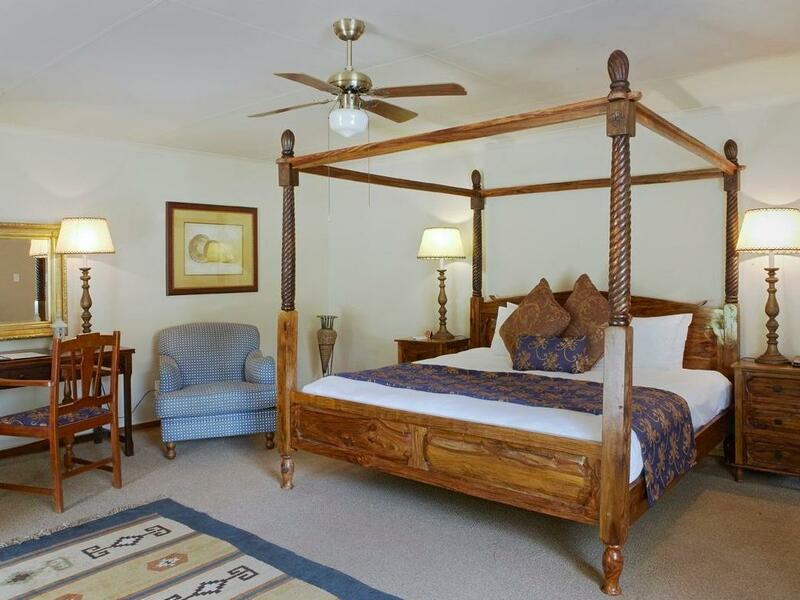 We needed a over night stay , the staff was extremely helpful and friendly. The food (breakfast) was out of this world. Air-con help to break the cold and we had a lovely rest in a family room. Bathrooms were very clean and tidy , but may need some dating. Fantastic stay, great breakfast. Very peaceful. The airconditioner did not work properly. This was brought to the attention of the staff when we moved into the room. We were told that a technician will check on it the next day. We spent the whole night in an extremely heated room and waited till 4pm the next day, complained to the staff again of the same problem and then only were we placed in another room with a fully functional airconditioner. Stunning Bedroom, Privacy, Bautiful dining room and bar. The hotel is easily accessible to the highway. 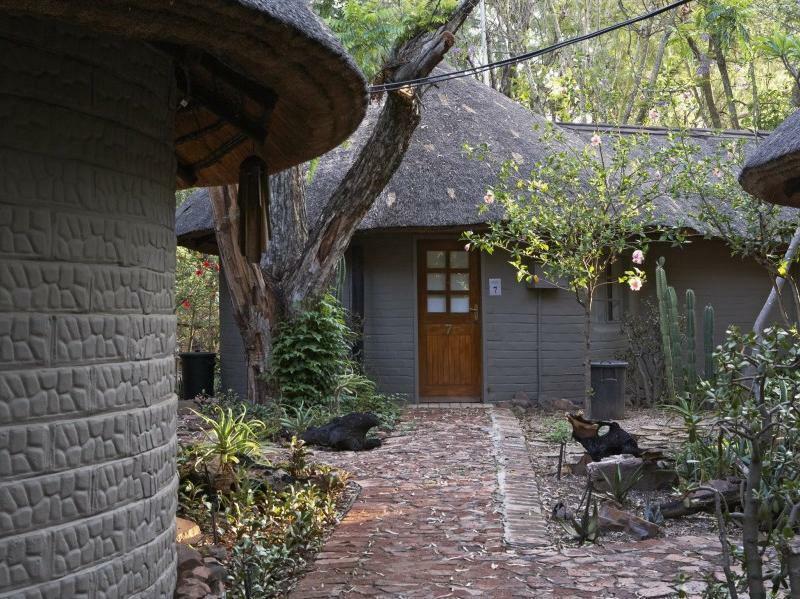 The Hotel main building is beautiful and leaves a renaissance feeling in the bushveld. The room we stayed in definitely needs refurbishing in the bathroom as it was not on par with the rest of the room. The shower is still old style with only a curtain infront. Tiles old, broken and door cannot close. The Jacuzzi is leaking and needs some attention with the bathroom. We will definitely visit the hotel again as it was very good value for money. Had we paid more I would have expected no mosquitos in the suite and a better bathroom. The best cuppuchino's and pot bread! Easy to find but remote and quiet location. Great hospitality by staff. Dining was just great, pastries especially. 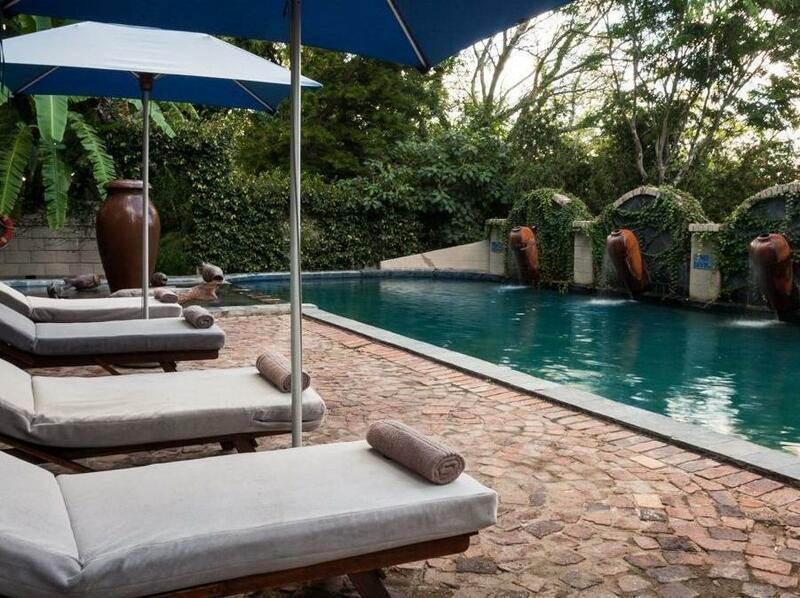 Buffet breakfast, Beautiful gardens, Beautiful lounges and restaurant with antique furniture.